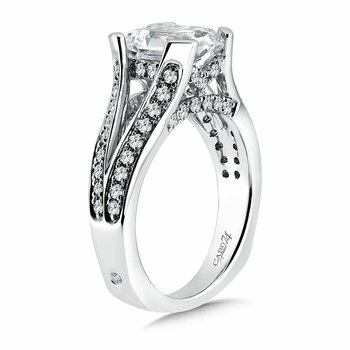 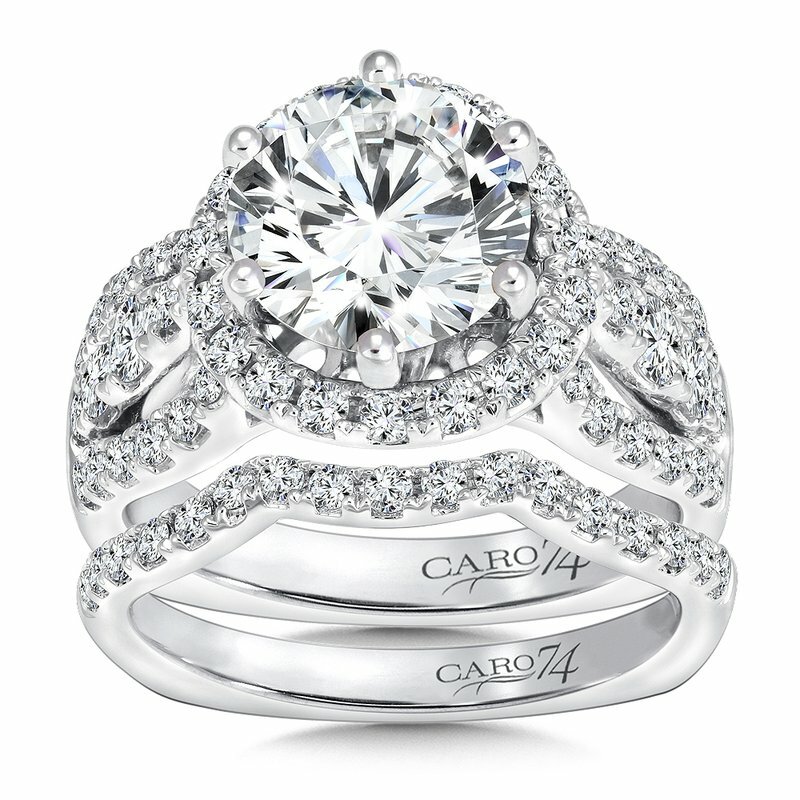 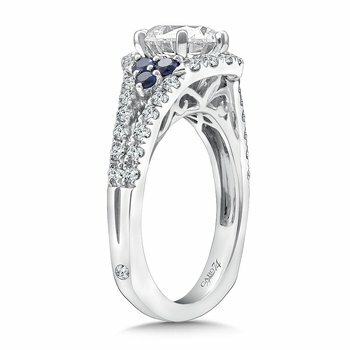 Richmond & Fredericksburg Jewelers: Caro74 Round halo mounting with side stones .92 ct. 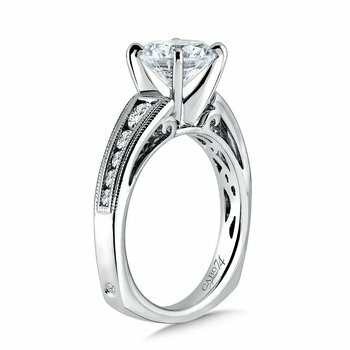 tw., 2 1/2 ct. round center. 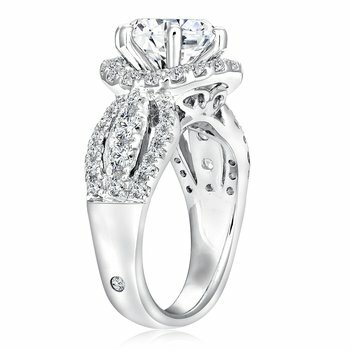 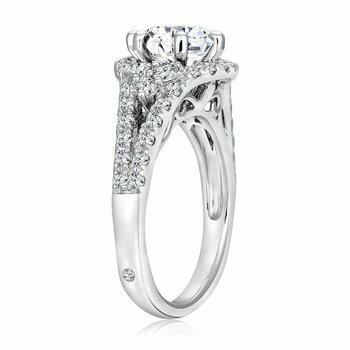 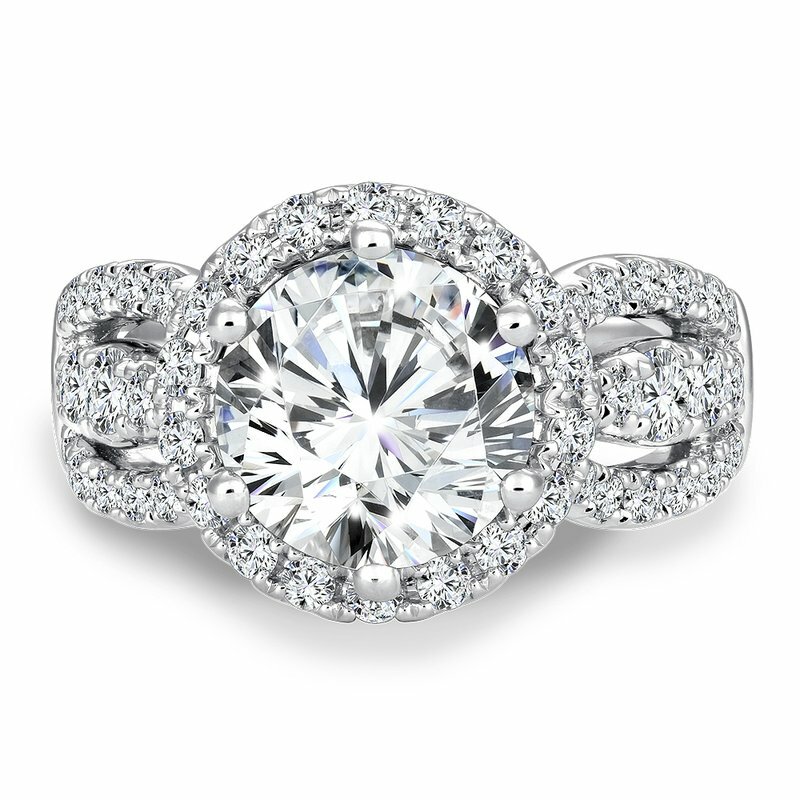 Round halo mounting with side stones .92 ct. 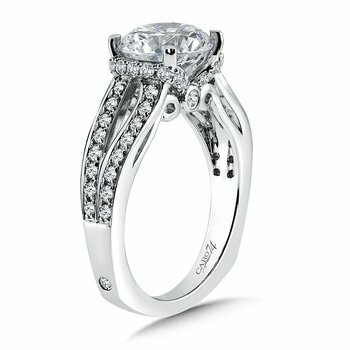 tw., 2 1/2 ct. round center. 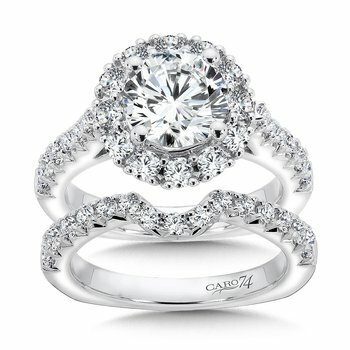 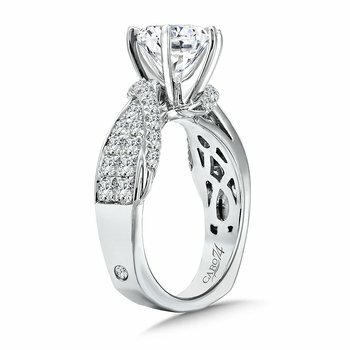 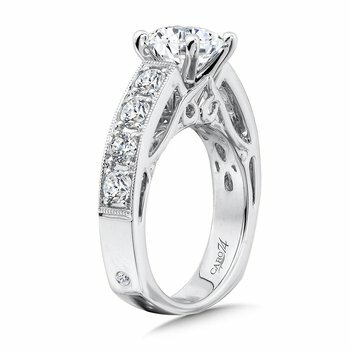 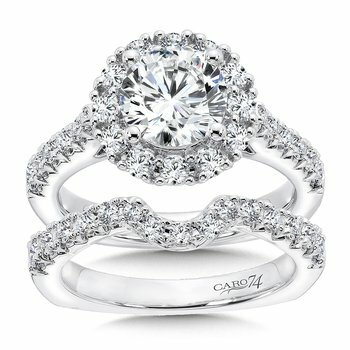 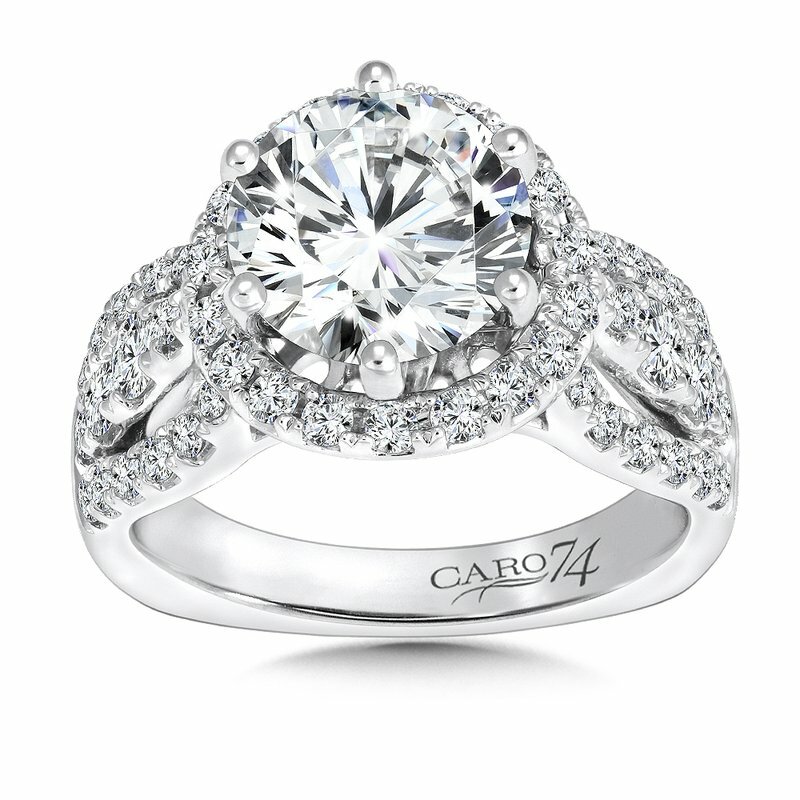 Caro74 Round halo mounting with side stones .92 ct. 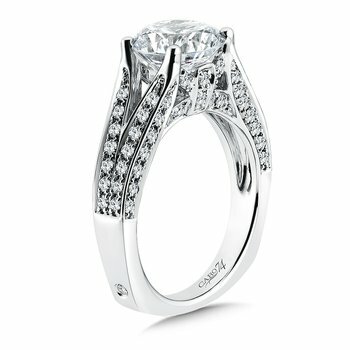 tw., 2 1/2 ct. round center. 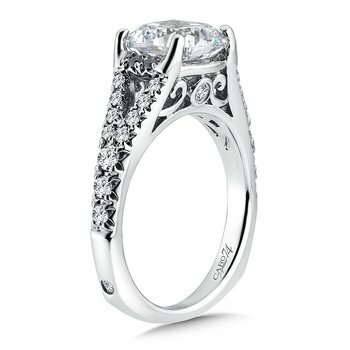 Regal describes this design. 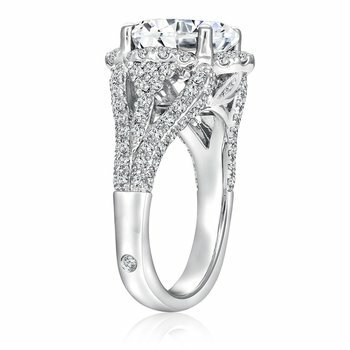 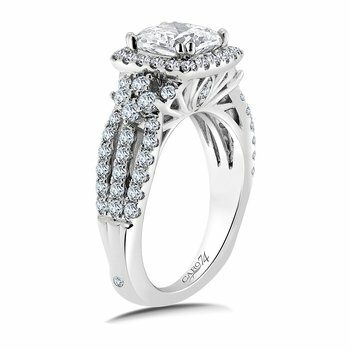 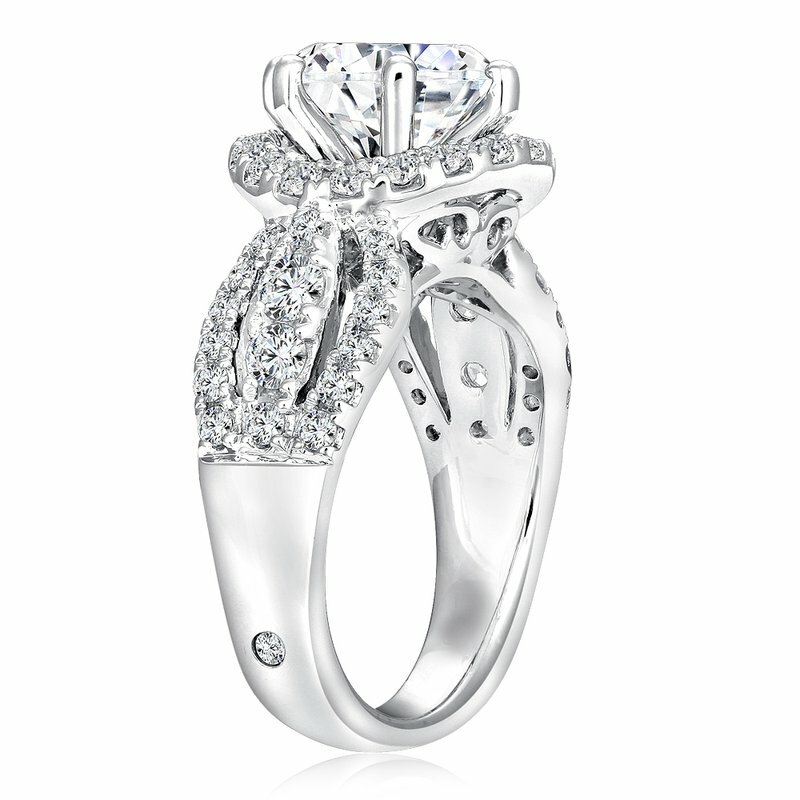 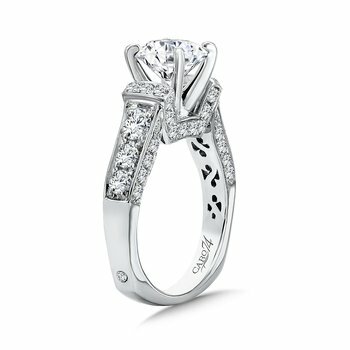 The impressive diamond halo and three bands of stones on the shoulders are stunning, making this magnificent ring fit for royalty.